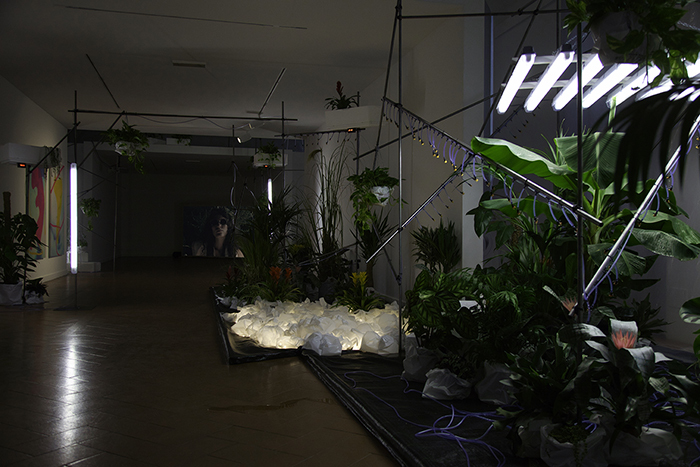 The NFT pH<7 installation work manipulate the notion of landscape as a political, social and cultural object by considering its different ways of domestication, from its pictorial statement to its imitation, from its staging to its mechanization and its recreation in vitro. 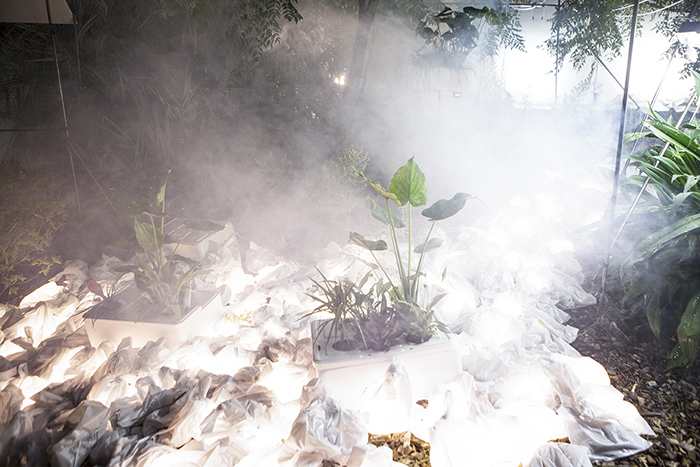 Sort of nature or manipulated organism, the installation is staged in the manner of the dioramas of natural history museums. 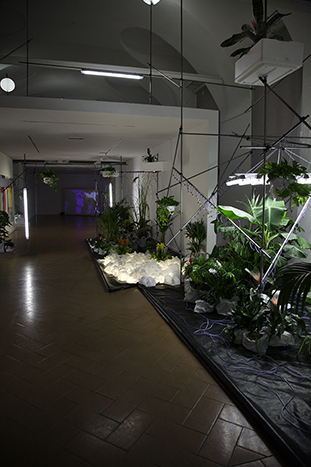 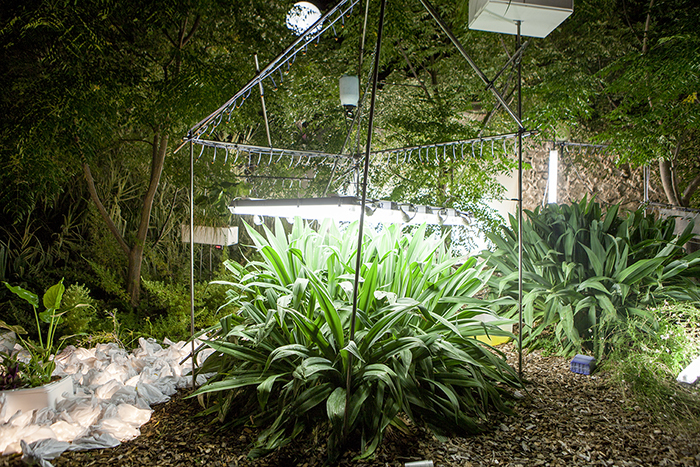 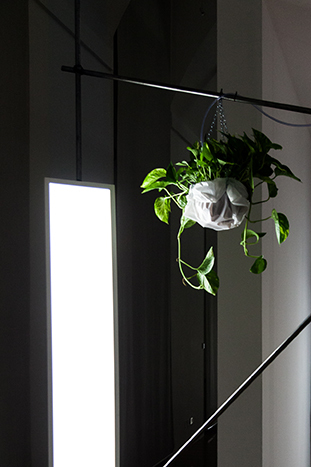 Plants grow above ground as crops grow without soil or sun, through its technical equipment : irrigation, light, smoke ... Perennial and mechanical organism, NFT pH<7 is a neutral ground, neither too basic, nor too much acid, and its pH ironically says the theoretical equilibrium of its purely artificial construction. 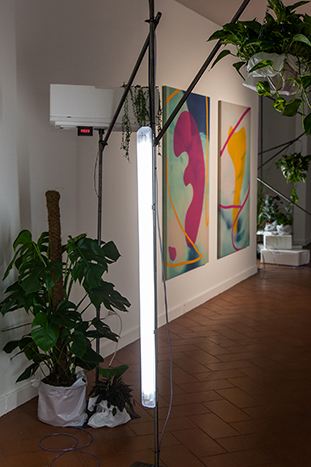 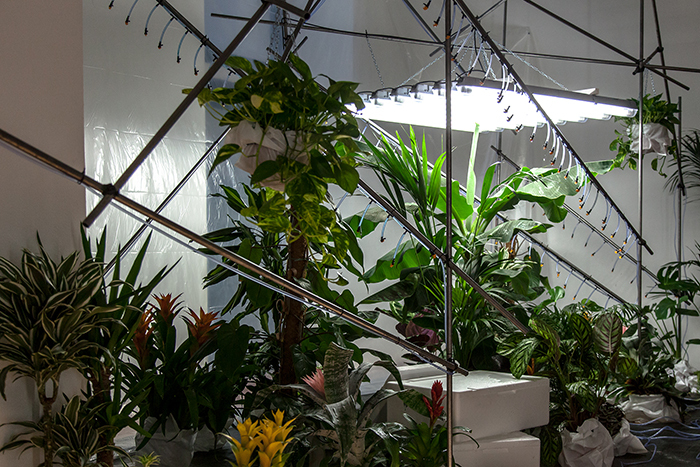 Steal pipes, tropical plants, different kind of lights, video flat screen, sound installation, various materials, variable dimensions. 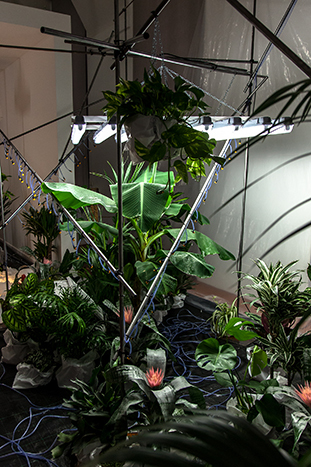 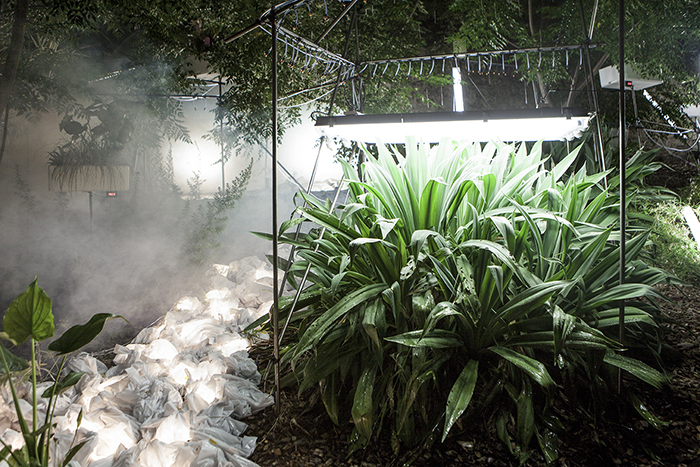 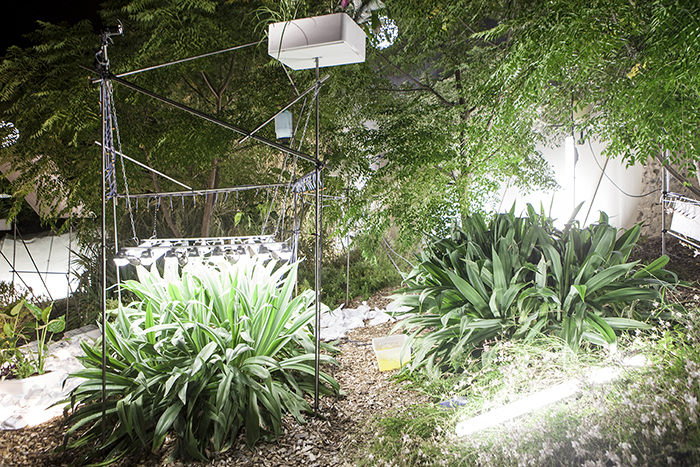 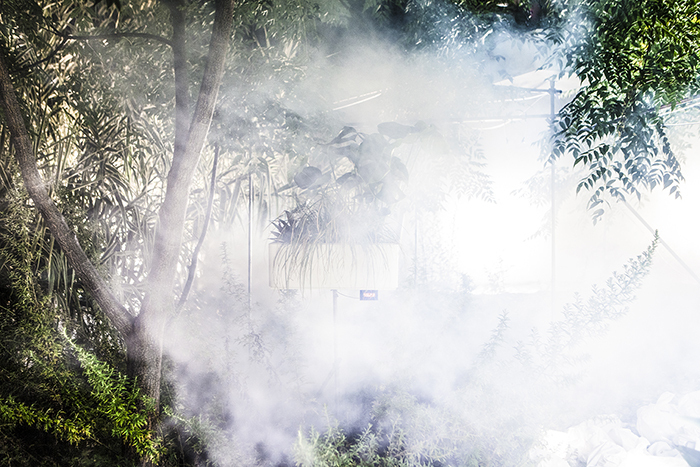 Steal pipes, tropical plants, different kind of lights, smoke machine, various materials, variable dimensions.